History has horrifically been made today in Japan, with an 8.9 Richter level earthquake. 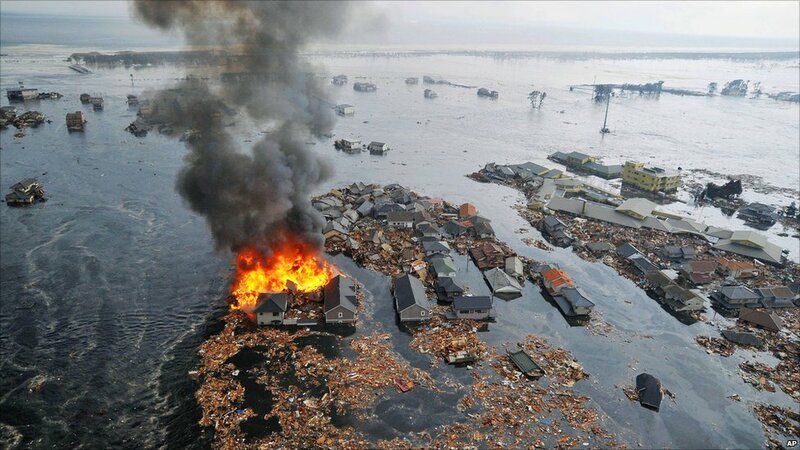 Above, an image of the tsunami that has devasted the coast of the country. There is a tsunami warning for the whole Pacific basin, starting with the Philippines in the next few hours. Footage of the tsunami flooding the Japanese coast, including a giant whirlpool, is below the jump. 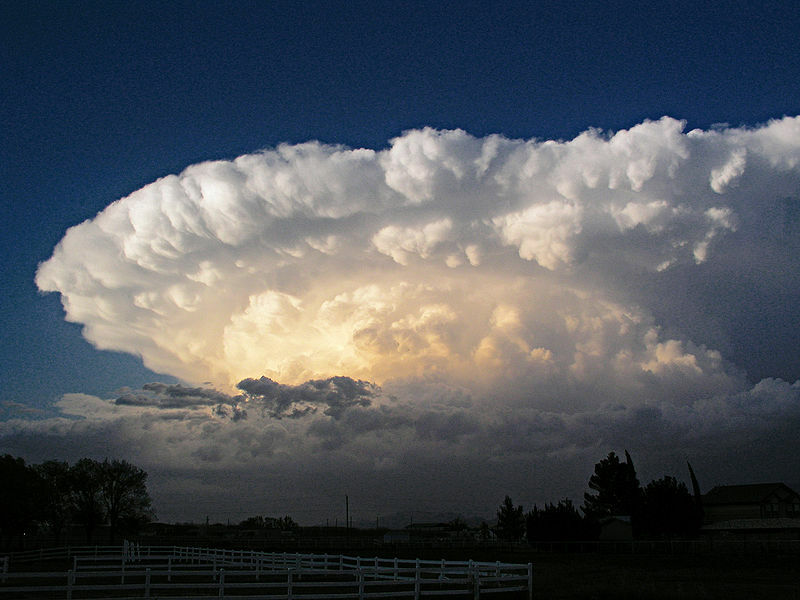 Supercell storm. Image Source: Wiki. Rarely do we see the big picture, unless we condense time. This is what makes time lapse films so compelling. Time lapse films of storms take us from the normal and everyday to apocalyptic within moments. Films like these clips by Michael Laca, which show Hurricane Igor sweeping into Bermuda in 2010 (here and here), show us the power of our natural environment in a nutshell. See some storm time lapse videos below the jump. Image Source: CTV via MSNBC. 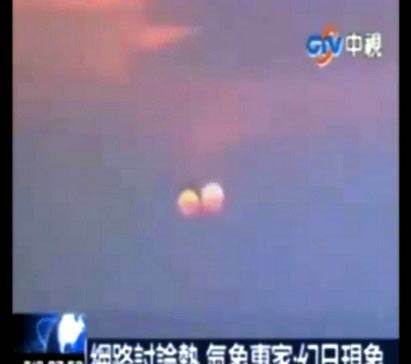 Weeks after a story shot across the Web claiming that the imminent explosion of a nearby star would result in the appearance of a second sun in the sky — a story that was later debunked — two suns were caught on camera yesterday in China. The suns — one fuzzy and orange, the other a crisp yellow orb — appeared side-by-side, one slightly higher than the other. What's going on? Life's Little Mysteries, a sister site to Space.com, asked Jim Kaler, the University of Illinois astronomer who squelched the excitement over the aforementioned exploding Betelgeuse and who has written books on the day and night sky. The double sun image is an effect of optical refraction, Kaler said, but it's a "pretty darn rare" one, and one not fully explained by science. "I doubt it's been computer modeled," he said. "There must have been some blob of atmosphere somewhere that caused this truly spectacular phenomenon, which in a sense is a mirage." On Facebook, NASA's Solar Dynamics Observatory contributor appears amused by all the attention the Sun is getting this week: "this had nothing to do with solar events on the Sun. But still pretty cool image. Very Star-Warsy!" Other astronomers have dismissed the report as a hoax. 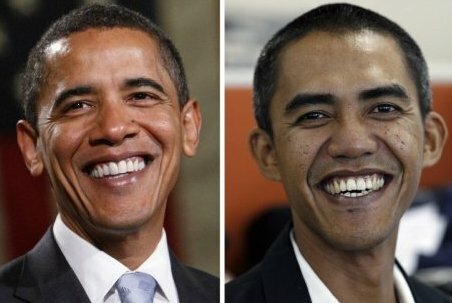 Doppelgänger - you just can't get away from them these days. Below the jump, the Star Wars clip. Image: NASA Solar Dynamics Observatory (9 March 2011). NASA just reported that the Sun erupted with a flare in the highest range. About an hour ago, the Solar Dynamics Observatory posted the following updates on their social networks links: "We are still analyzing but it appears we just had a X-class solar flare ... 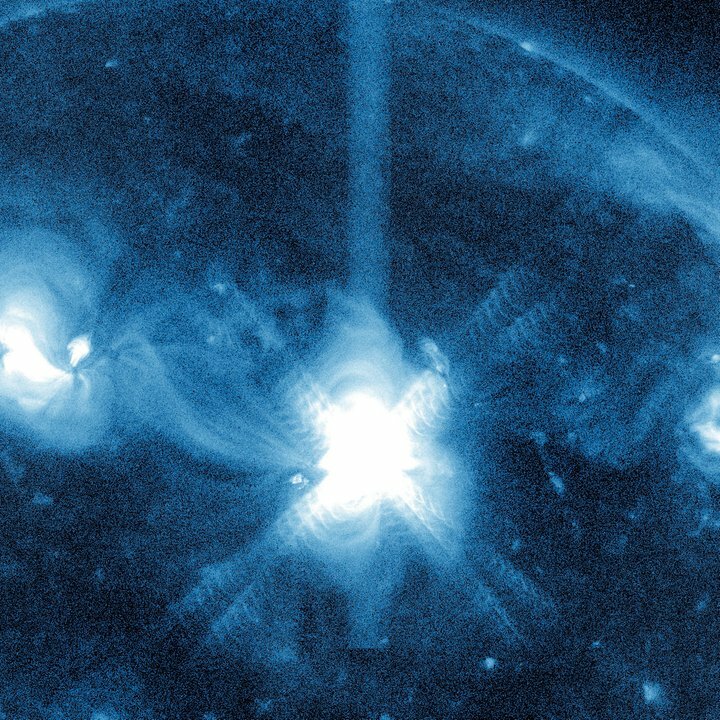 The flare originated from Active Region 1166. 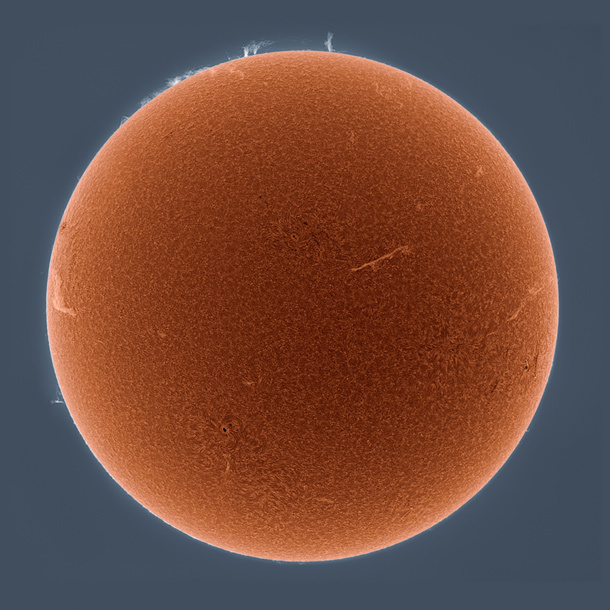 Here [shown above] is a close-up as seen through the AIA 335 Angstroms. [T]his one is almost front center. We will experience some impact. We are still analyzing all the data." Photo © Alan Friedman (20 October 2010). Image Source: Discover/Bad Astronomy. 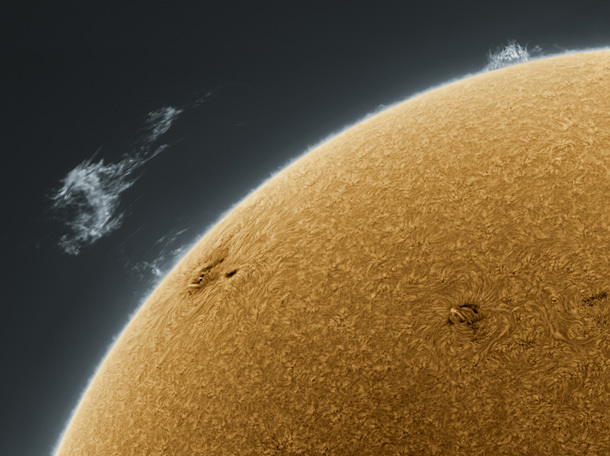 Full credit goes to Lee Hamilton's blog (which you should all check out) for drawing my attention to these incredible pictures of the Sun by Alan Friedman. Friedman's site, Averted Imagination, is here. Photo © Alan Friedman (2011). Image Source: Discover/Bad Astronomy. More cool Sun photos below the jump. Back in January, I did a composite post on the mass death of fish and birds (here); that post has been updated through to today and will be updated as these stories continue. I am curious to find out what the explanations for these incidents, if any, will be. 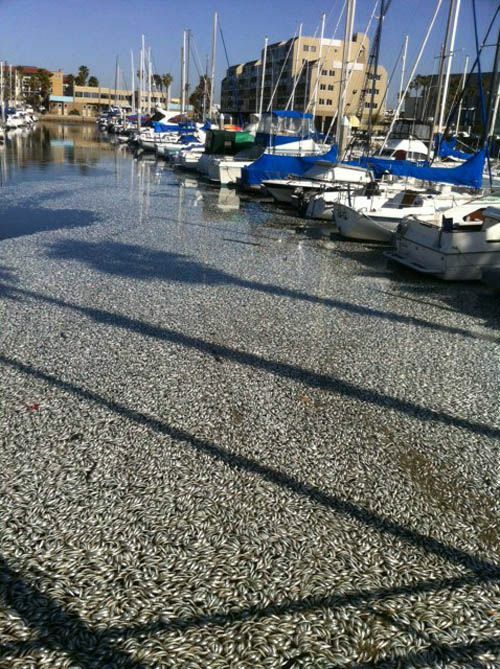 KTLA news and CNN are both reporting on a new fish kill near Redondo Beach in King Harbor, California, with the cause not determined. The fish swam in from the ocean and used up all the oxygen in the water. Conspiracy theory sites are linking the mass movement of fish to earthquakes that just happened off the coast of California. Some think it is an indicator of a future earthquake. Others are proclaiming the 'end of days.' See more on this story below the jump. 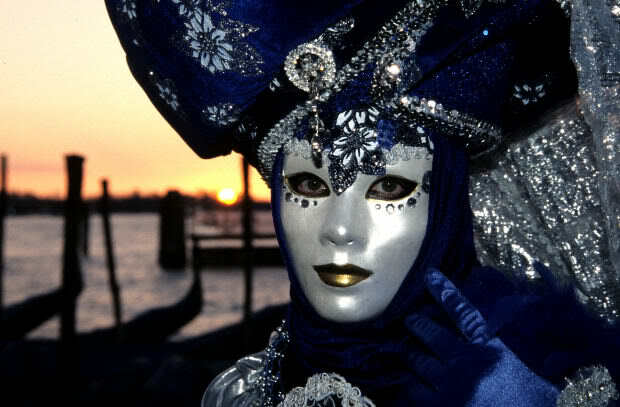 Venice during Carnival. Image Source: Viva la Sposa! Masks have the power to transform those who wear them. When one wears a mask there is a transformation into someone different. Masks not only change the person wearing them, but also those who interact with them. The most ancient masks were used to represent supernatural spirits or to let us contact higher beings whom we believe may influence our lives. ... Many beliefs celebrate the beginning or the end of a season. ... For the most part, people tend to associate the use of masks with ancient pagan rituals. One wears a mask to seek protection from evil spirits during the time that we believe demons are present. In the European Christian tradition, the word "carnaval" has been linked to the idea of "good bye to the flesh", referring to the 40 days of lent. During this time, Christians, in particular, Catholics were prescribed not to eat meat according to the traditional religious precepts. Therefore, the days preceding Lent became a period of abandon and indulging. The celebration becomes an escape to the pressure and to the rigidity of religious tradition. Thus, as the seasons change, we change. And when we change, we make our fantasies and fears manifest. Below the jump, a mash-up of some curious and strange carnival-related videos. Do you know all your Facebook friends? Image Source: Berliner Morgenpost. The deeper we get into virtual reality, the more difficulty we have trusting that world and trusting ourselves. Yet people do. The latest example of how surveillance and artificial intelligence mechanisms are being built around the persistence of online trust is the advent of the US Military's classified social media activities. These activities would never be possible without the creduility of the public at large. Imagine walking at 3 in the morning down an alley in a city notorious for violent crime. Many people do the online equivalent of this all the time, with little or no fear. Perhaps it is the illusion of security in anonymity. Maybe it is the false belief that there is no real connection between the private life and the virtual life. On this fertile ground, new areas of covert existence are growing quickly, with individual citizens willing participants in the mutual exchange between personal avatars and virtual doppelgängers of unknown people and organizations. To me, this rapid proliferation of multiple identities is even more disturbing than the notion that Big Brother is watching us. How can we retain our sanity when the internet positively calls for and reinforces a kind of mass multiple personality disorder in global society? And like I say, the rules for those other personas and for anyone's central, non-internet Real Self are increasingly considered to be ... different. The Millenium is becoming the age of the Shadow Self. 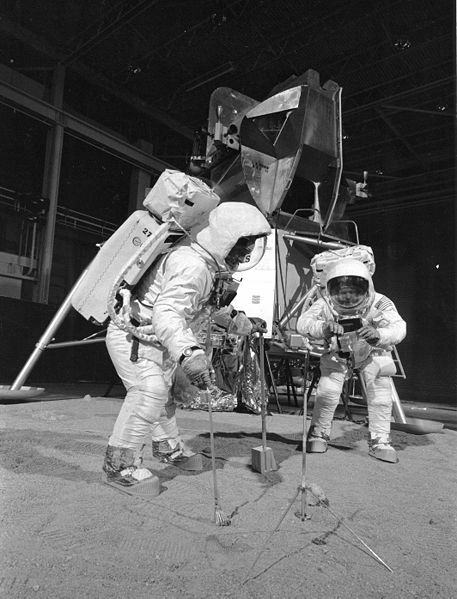 Neil Armstrong and Buzz Aldrin practicing on a simulated lunar mock-up, 22 April 1969. Image Source: Wiki. I09 recently complained that a viral marketing campaign is going too far in insisting on the veracity of the upcoming American horror film, Apollo 18, directed by Gonzalo Lopez-Gallego. This film is based on supposed 'found footage' of a hushed-up Apollo 18 mission. According to the film's producers, the public were told that Apollo 18 was cancelled. In fact, the mission took place and was a secret disaster. The I09 reporter, Meredith Woerner, says she loves a mocumentary as much as the next girl, but when Dimension Films (a division of the Weinstein Company) recently told the press that the footage is absolutely 100 per cent real, she got annoyed.